Talk about perfect English. 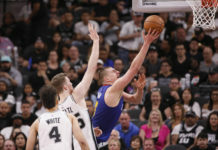 The words that come out of Nikola Jokic’s mouth might often sound broken, maybe even a little funny – after all, the big man’s native tongue is Serbian – but his recent assessment of officiating in the NBA could not have been clearer. Following Saturday night’s Nuggets win over Indiana, a game in which Denver’s only All-Star was ejected with just under three minutes to play, Jokic spoke honesty. Yes, he deserved to get ejected. No, the whistle in the NBA is not equal. Want to know if someone is truly a star in the NBA? Don’t bother with the box score; watch the officials. Stars get the calls; the rest do not. It’s that simple. The sad truth of the matter is that very few who follow the NBA can, or will, disagree. The term “superstar call” was born on the hardwoods of the National Basketball Association – it’s a thing. It’s bad enough that biased fans believe that. And they do. The sellout crowd at Pepsi Center was miffed. People were screaming (swearing), shaking their fists, and spilling what was left of the Honey Jack and Ginger they bought at last call – The Can was about to pop. But it’s officially a problem when the Association’s players are saying it out loud. Most professional sports leagues aren’t impervious to poor officiating. Remember, refs are only human beings. The NFL’s officiating came under fire after a severely blown pass interference call in the NFC Championship Game. The NFL’s problem is that the only people on the planet who can’t see every angle of every play in HDTV are the officials. Yes, it was a bad call; but what made it worse was the fact that it was so apparent to anyone watching instantly. The league’s rules don’t allow for an overturn of pass interference. The NBA has a different kind of problem, though. 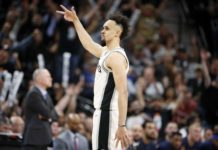 There’s an underlying belief that keeping a star on the court, or that padding a star’s statistics, is good for business. To be fair, that’s probably true. 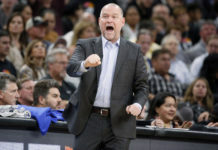 But that concept doesn’t necessarily make fans or – in the case of Jokic – playersfeel great about integrity of the game or its officials. Nobody is suggesting there’s a black and white, written rule in the NBA’s bylaws – you’ll never find it anywhere. But is there a wink-wink “understanding” that certain players are monitored – penalized or rewarded – differently than others? Sadly, plenty of people believe that to varying degrees. What!? That can be said out loud? Well, sure it can. Who’s going to disagree with Hastings on that? There is, after all, basis for his assertion. Furthermore, is there an analyst in the game who would ever suggest a certain referee does not like LeBron James or Steph Curry? That’s doubtful. If it were known that a ref was predisposed to not giving one of the game’s biggest stars a fair shake, a hundred bucks says that official wouldn’t last long; they certainly wouldn’t draw the assignment too often. Remember when legendary official Joey Crawford ejected superstar Tim Duncan (who could whine with the best of ‘em)? Well, it was Crawford who got in real trouble. Duncan got fined $25,000, but Crawford was issued an indefinite suspension. Bet that wouldn’t have happened if Crawford got cross with, oh, let’s say, Yakouba Diawara. Stars are of utmost importance to the NBA; even (and especially) the referees understand this. The read between the lines takeaway here, is that public commentary can drastically impact the way an official handles certain player – especially if the player isn’t being viewed like a star. No ref wants to have his calls scrutinized, especially if those calls are being made with consideration to the player and not the rules. To be clear, this is not some poor-us-Denver gripe. Most teams in the Association can cry foul on this very matter. 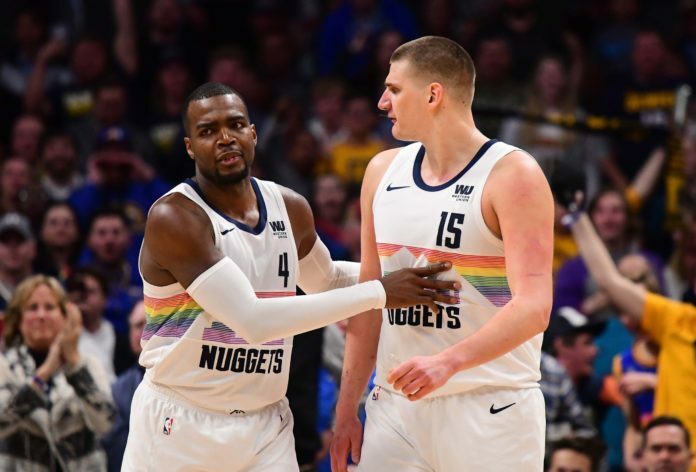 It only pertains to Denver, at the moment – because of Saturday night, and because of Jokic’s comments that followed the game. It only pertains to Denver, because the Nuggets don’t have a superstar, at least in the eyes of the officials. Yes, Nikola Jokic plays like one, but in the playoffs, will he get the call like one? You can make that call.